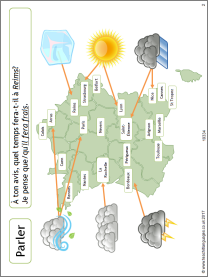 Ask your class to listen to a French forecast and then create their own to present to the class. Thank you for sharing this resource. I will use this in conjunction with my other weather-related materials.